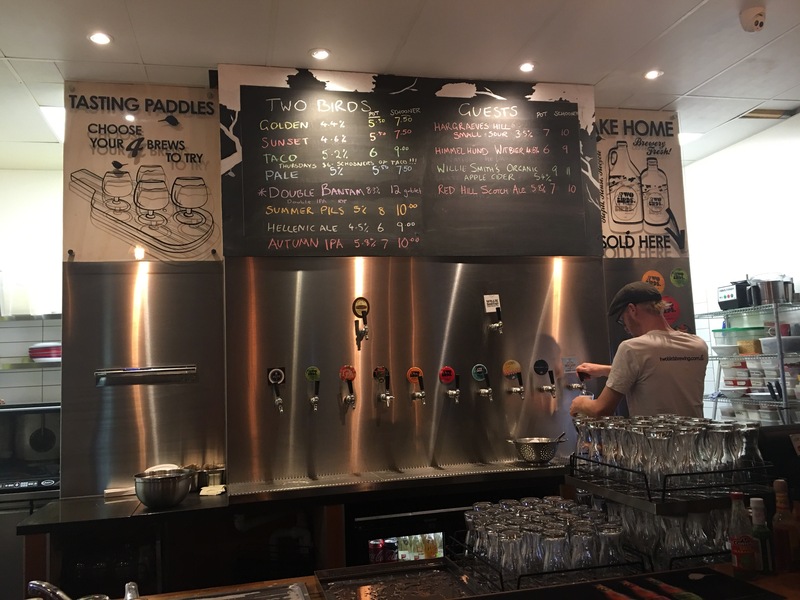 Two Birds Brewing are one of Back of the Ferry’s favourite brewers. There’s many reasons for this fondness. They are bloody friendly and respond to our @untappd check-ins (even when we are underwhelmed, which I think has only happened once). We were at their Sydney launch in 2011 and they actually remember us. And they make very fine beer. @illiards and I celebrated our 50ths together and we served 4 Pines and Two Birds. I would have preferred the Sunset, which is one of my all time favourite beers, but @illiards opted for the slightly more quaffable Golden Ale. 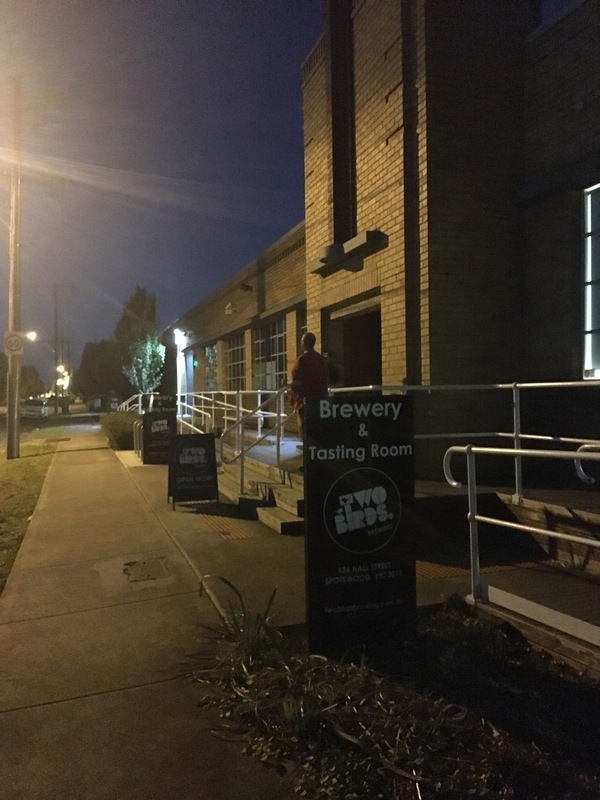 So it was a pleasure to pay a visit to the relatively recently opened Two Birds Brewery in Spotswood. 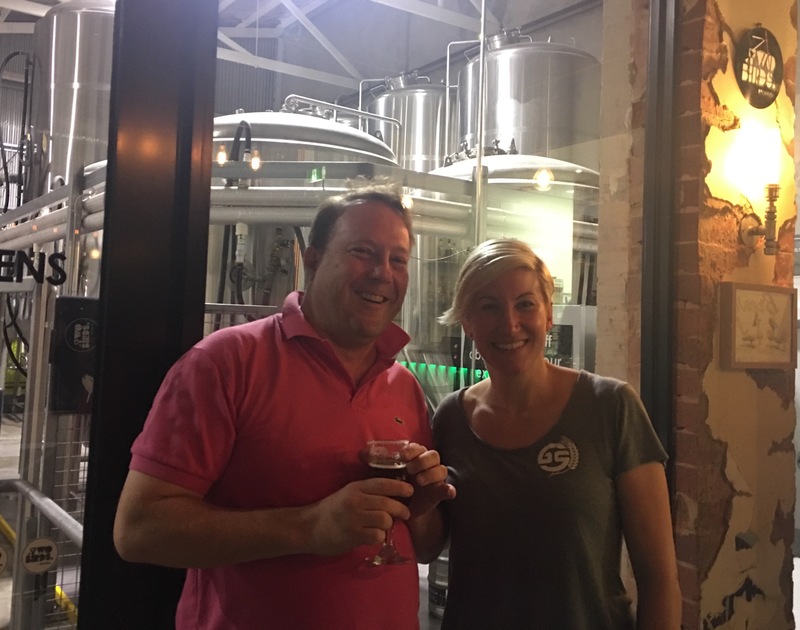 As a bonus I got to have a chat to one of the Birds – Jayne – as I sipped a damn fine limited release Double Bantam IPA. The space is first and foremost a brewery, but it is also a very pleasant place for a sherbert or three. On the night I visited, 12 taps were going, including 4 guest taps. I made it too late for a feed, but a small but satisfying menu is available. The merch is very good and varied and squeakers are available for takeaway. I sneaked in a pub crawl through Williamstown before arriving at Two Birds (which would explain why I was late for dinner. Melbourne has some really great pubs nestled in amongst suburbia. The Stag’s Head and the Steam Packet Hotel deserve a repeat visit, as does the Hellenic Republic. 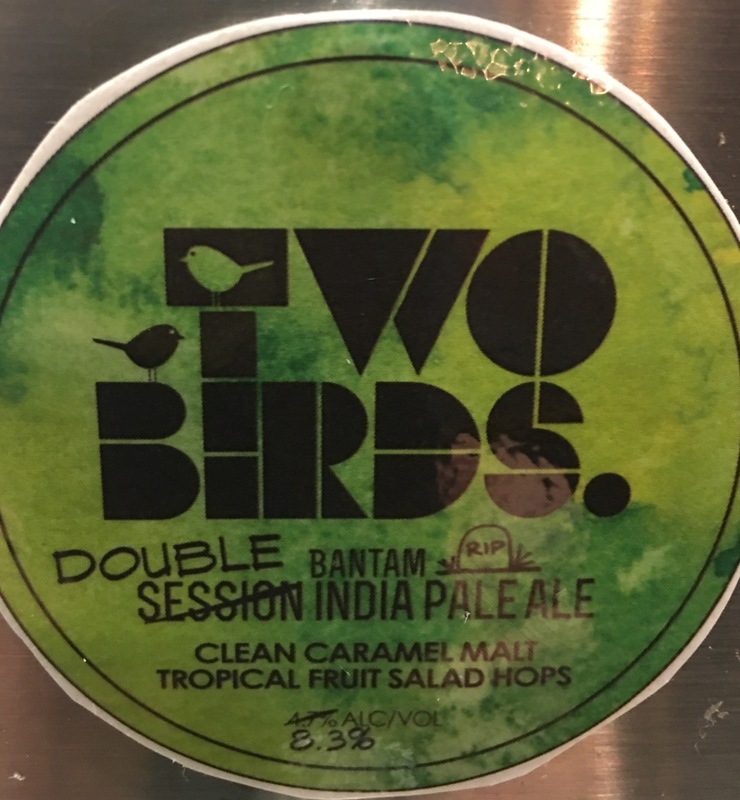 Two Birds has brewed a beer for the Hellenic called Hellenic Ale, which is an Extra Pale Ale. You can try it at the brewery, but it’s also available at the pub, which is just about to open a rooftop bar. Plenty of coin dropped on this joint, so I’ll definitely drop by again. 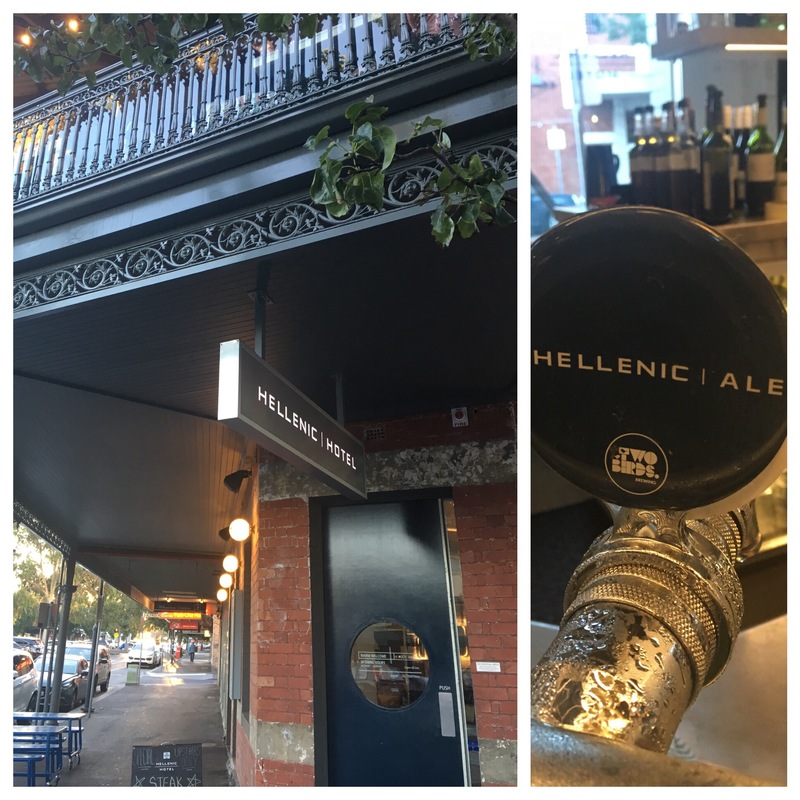 Hellenic Republic: 28 Ferguson Street, Williamstown, Victoria.